UPDATE 10/3/18—For our current process on getting a CDL or CLP, visit Steps to getting a Commercial Driver License. See also, CDL approved documents. OLYMPIA—Starting Sept. 1, 2015, anyone seeking a commercial driver license (CDL) or commercial learner permit (CLP) in Washington will be required to prove they are a United States citizen or lawful permanent resident. This new law does not affect anyone’s ability to get or retain a regular driver license. Commercial drivers are not required to present this proof until their next CDL or CLP renewal or other transaction that requires a change to their record, including name, address, and endorsement changes. Drivers with an enhanced personal driver license or enhanced commercial driver license issued in Washington before Sept. 1, 2015, are not required to again prove their lawful permanent residency or U.S. citizenship. This new requirement is due to the state’s mandatory compliance with federal law and one aspect of a broad public safety effort around CDLs that brings Washington into line with the national standard. Starting Sept. 1, commercial drivers must visit one of 28 designated offices to complete their CDL or CLP transaction because of the special resources needed to verify documents. The full list of designated office locations can be found at dol.wa.gov/cdlchanges. · Permanent Resident Card or “Green Card” issued by the U.S. Citizenship and Immigration Services. Obtaining duplicate documents can take several weeks. Commercial drivers are encouraged to begin the process immediately if they do not currently have at least one in their possession. Photocopies will not be accepted. The Department of Licensing (DOL) will be unable to complete CDL or CLP transactions of those drivers who are unable to provide one of the approved documents. Proof of U.S. citizenship or lawful permanent residency is not required to replace a lost, damaged, or stolen card. More information is available online at dol.wa.gov/cdlchanges or by calling the Washington Department of Licensing Driver Customer Service line at 360-902-3900. 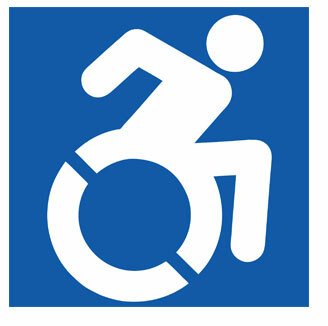 OLYMPIA – Changes to the laws governing special parking privileges for persons with disabilities will take effect July 1 and are aimed at reducing the number of people who abuse disabled parking permits. Changes include requiring a written prescription from a licensed health care provider to obtain disabled parking privileges and requiring a new application for every renewal. The application also includes a new fraud warning on the application to remind applicants and healthcare providers it is a gross misdemeanor if they knowingly provide false information. The new laws also extend temporary parking placards from up to six months to up to 12 months and increases the penalty of illegally obtaining a disabled parking placard, license plate, tab, or identification card from a traffic infraction to a misdemeanor. The changes were recommended by a group formed to develop a plan to eliminate abuse of the program. Participants included Department of Licensing, Department of Health, disabled citizen advocacy groups and local governments. The work group also gathered input from the public. These changes were included in Engrossed Substitute House Bill 2463 passed by the Legislature in 2014. More information is available at dol.wa.gov. Olympia—Boating season is here, and the deadline for renewing boat and watercraft registration decals is right around the corner. 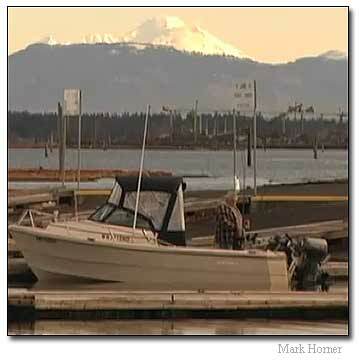 All Washington state boat registrations expire on June 30. Don’t let an expired registration spoil your day; remember to renew before you get out on the water. Boat registrations can be renewed online at the DOL website or in person at a neighborhood vehicle licensing office. Those who choose to renew at an office should make sure to note the registration number on the bow of the boat or watercraft and take that information to the office. Full implementation of Wheeled All-terrain Vehicles (WATVs) legislation (ESHB 1632) will begin May 18, 2015. The department has been licensing WATVs through a manual process since October 2013 and began issuing metal tags through a modified manual process in June 2014. (b) a utility-type vehicle designed for and capable of travel over designated roads that travels on four or more low-pressure tires of twenty psi or less, has a maximum width less than seventy-four inches, has a maximum weight less than two thousand pounds, has a wheelbase of one hundred ten inches or less, and satisfies at least one of the following: (i) Has a minimum width of fifty inches; (ii) has a minimum weight of at least nine hundred pounds; or (iii) has a wheelbase of over sixty-one inches. Unlike off-road vehicles (ORVs), the WATV is identified by a metal tag and tabs. 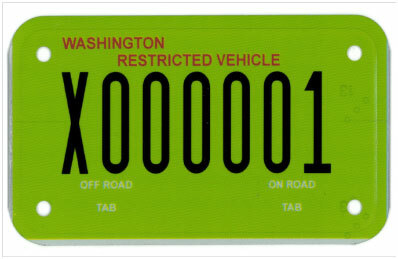 The metal tag will have tabs indicating whether the vehicle is licensed for off-road use or off-road and on-road use. Metal tags will be mailed from the special license plate unit at the department’s headquarters office. Tabs will be available at any vehicle licensing office, for replacement or renewal. Before being licensed for on-road use, the WATV must have a safety inspection and VIN verification by a licensed Washington ATV dealer/repair shop and must meet equipment requirements contained in RCW 46.09.457. The WATV owner must provide a signed declaration which also contains a release of liability. Licensing the vehicle for on-road use does not qualify the vehicle to travel on any roadway. Users are cautioned to verify where a WATV is authorized to be operated. This can be done by visiting the town, city, or county webpage in which a user wishes to operate the vehicle. Licensing of the vehicle is not restricted to these areas. The $18 off-road licensing fee is deposited in the non-highway and off-road vehicle activities program account. 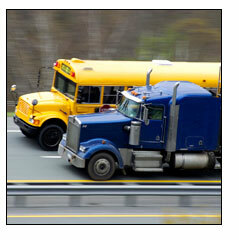 The $12 on-road licensing fee is deposited in the multiuse roadway safety account. You are currently browsing the Licensing Express blog archives for June, 2015.